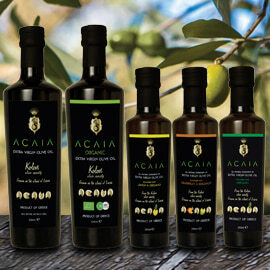 Seven Greek olive oil companies captured 10 of the awards at the OLIVINUS competition this year in Mendoza, Argentina. 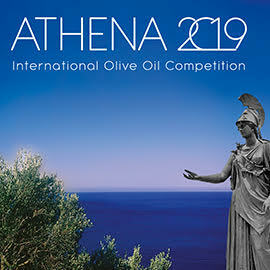 The largest international extra virgin olive oil (EVOO) competition in the southern hemisphere and one of the world’s most highly respected EVOO contests, OLIVINUS 2016 awarded 167 prizes to EVOOs from 11 countries on 6 continents. With the fourth highest number of awards at OLIVINUS this year, Greece came out ahead of Italy, which took home six awards from this competition, according to the OLIVINUS website, the source of all statistics reported here. This year, 441 samples were submitted to OLIVINUS by 196 companies from 17 countries, with only 37% of the EVOOs winning awards. The OLIVINUS site indicates that this competition is considered one of the most important, prestigious international contests for EVOOs, second only to the International Olive Council’s Mario Solinas awards. 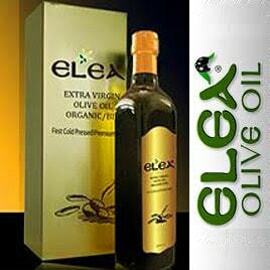 It is so well respected because of the large number of samples received from at least 16 countries each year, because “all the EVOOs come directly from … producers, not importers or distributors,” and since it “is the only one in the world” judging more olive oils from outside the host country than from within it. 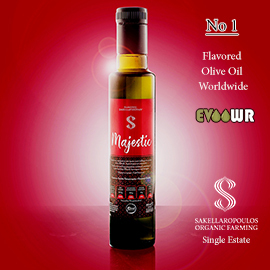 The EVOO World Ranking considers OLIVINUS on the same level as the Terraolivo (Israel), Los Angeles (USA), New York (USA), Domina (Italy), BIOL (Italy), and EVOOLEUM (Spain) International Olive Oil Competitions. Kelidi, president of Kyklopas, commented that her company is “very proud of our successes,” which “vindicate the choices we made,” including their “insistence on quality…at all stages of production.” This is part of their “constant search for perfection.” Some of the secrets of their success? The organoleptic characteristics of their olive variety, Makri, and their family’s privately owned olive mill, which they use as a “space for experimentation and continuous improvement” of their EVOO’s quality. Oliorama Exclusive Bio PGI Olympia and Oliorama PGI Olympia both won Gran Prestige Gold Awards, while Oliorama Exclusive Bio was also awarded a prize at OLIVINUS KIDS and a Premio Presentación Global Award at OLIVINUS DESIGN 2016, which focuses on “the great advances” in “the design and presentation of the bottle, label design, overall design and final presentation to the consumer” (OLIVINUS). 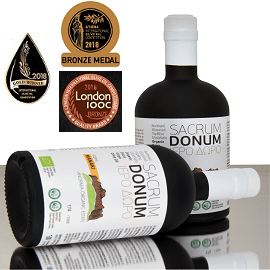 Olympian Green won Gran Prestige Gold Awards for both their Extra Virgin Olive Oil Oly Oil Traditional and their Greek Organic Extra Virgin Olive Oil Ktima Louiza. Business development manager Catherine Papaioannou explains that her company is very “proud that our continuous efforts to offer the international market a variety of high quality and healthy products have been recognized by esteemed organizations who perform blind tests.” Their “so called secret is very simple: hard work,” no shortcuts on quality, “state of the art technology and honest, transparent, prompt” service for their clients. Greka Icons won Prestige Gold Awards for both Navarino Icons Extra Virgin Olive Oil and Navarino Icons Organic Extra Virgin Olive Oil. The Navarino Icons team is pleased to be honored with these awards, which recognize their efforts to provide the best possible Koroneiki olive oils to their customers by taking good care of their olive fruits and carefully controlling their production process in Messinia, Southern Peloponnese, where olive oil has been important since Mycenaean times. 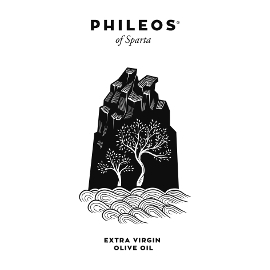 Papadopoulos Olive Oil won both a Gran Prestige Gold Award and a Premio Botella Etiqueta at OLIVINUS DESIGN 2016 for Mythocia Omphacium Organic, plus a Prestige Gold for Mythocia Bio Olympia PGI. Liá Premium Extra Virgin Olive Oil won a Gran Prestige Gold Award, an award from OLIVINUS KIDS, and a Premio Botella Etiqueta Award at OLIVINUS DESIGN 2016. In a tribute to “a life spent in defense of quality wine and extra virgin olive oil,” Indra Galbo wrote, “the world has lost one of the world’s most solid experts in sensorial analysis,” an “organizer of olive oil and wine competitions.” As Galbo added, Castellani was a “judge in 674 wine competitions worldwide since 1978. He then became President and CEO of 149 international wine competitions and 22 olive oil contests.” Moreover, “it is thanks to Castellani that [the] EVOO World Ranking exists. He is also behind the organization of … extra virgin olive oil events the likes of Olivinus, TerraOlivo-Jerusalem, Olivinus Niños.” The olive oil and wine worlds will miss him.